Hello my friends! I'm so thrilled that you've stopping in for Friday Photo Journal. I hope that you are enjoying this journey as much as I am! 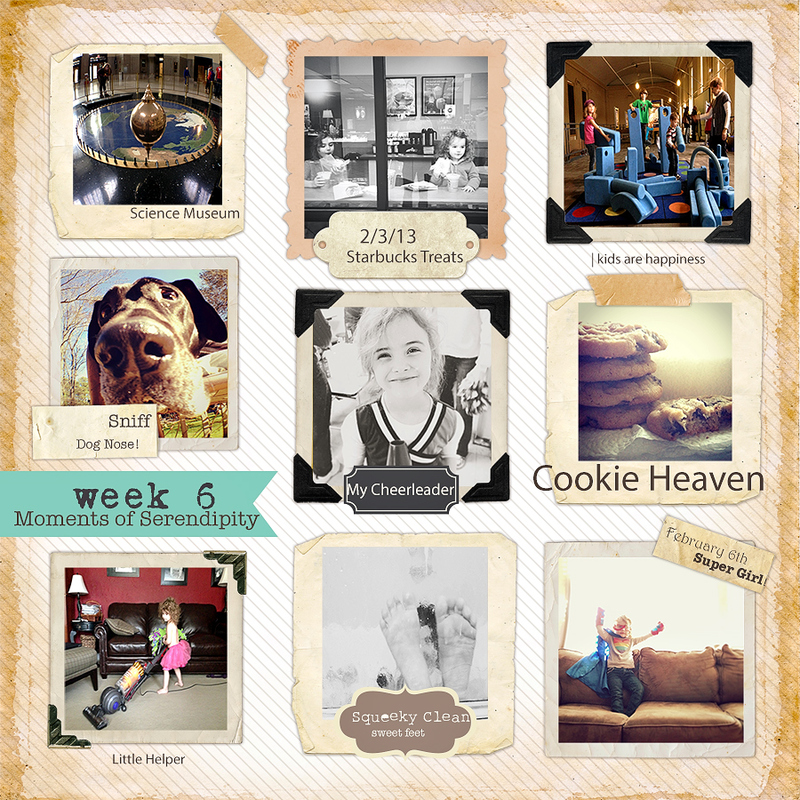 I take soooo many photos each week as I love capturing all those little serendipitous moments. This weekly snapshot is a fun way to look back on what we've done and keep a journal of our year. If you haven't joined in yet, I hope you do! I love connecting with each of you and seeing what my friends have been up to. By the way, this cute little template is from Bird Design. If you like it, check out all the other fun stuff they have in store. oh look at your little princess vacuuming! love that one! Love you put this together this week! Fun week! and love your week of pics! Love all of them...especially the Starbucks one! Have a great weekend. What a fun week & I just adore that template!! Fun shots, love your little superhero. Love the template. My favorite is the squeaky clean. I just love kids feed. Love super girl! That just makes me smile! makes me happy just seeing those happy photos! !